More so than my first visit, I really connected with my Spanish-influenced heritage. Maybe that’s why I love it so much -- it reminded me of growing up in a Filipino home. The cuisine – empanadas, arroz caldo, chicharron, pastillas de leche – looked and tasted very familiar. The Spanish colonial buildings are reminiscent of some of the homes I remember in old-town Manila. 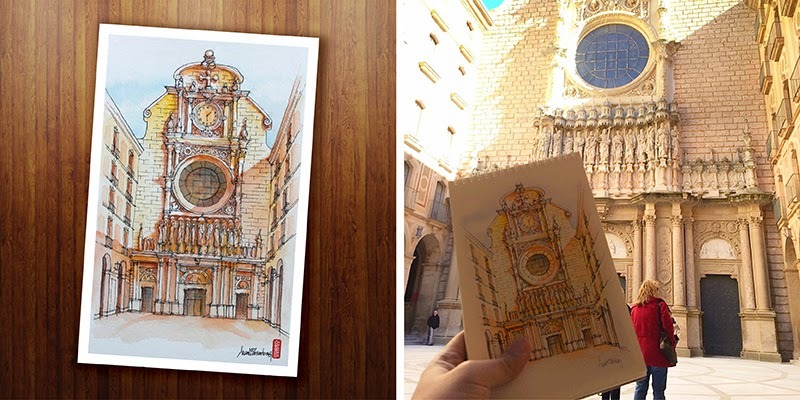 There is so much to be inspired by in Spain, from Picasso's paintings, to Gaudi's awe-inspiring designs, to the islamic architectural influence in Andalucia. I could literally stand on any street corner and find something interesting to draw. 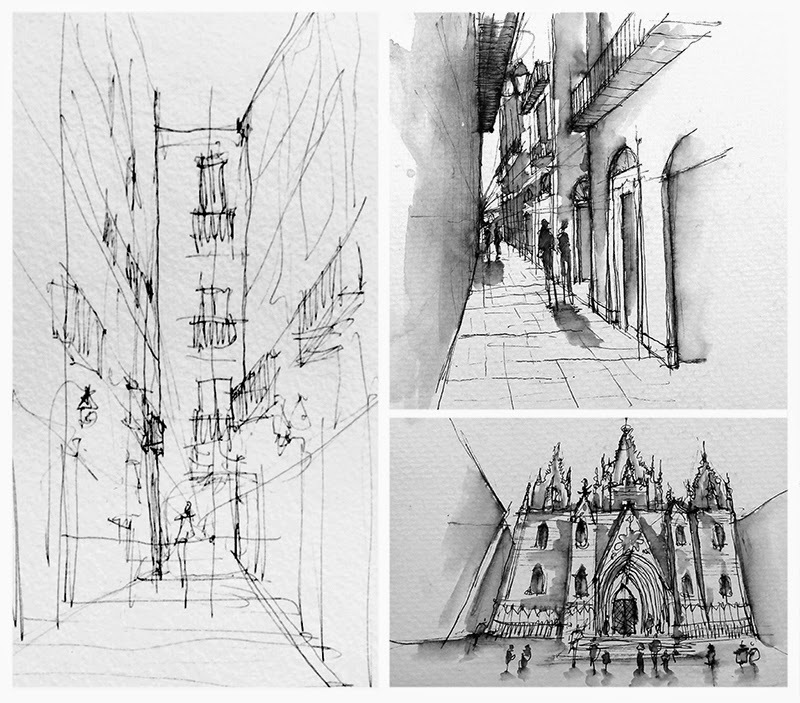 Here are a few of my favorite sketches from the trip! Fantastic, Allan! These bring back fond memories of when I was in Barcelona in 2013. 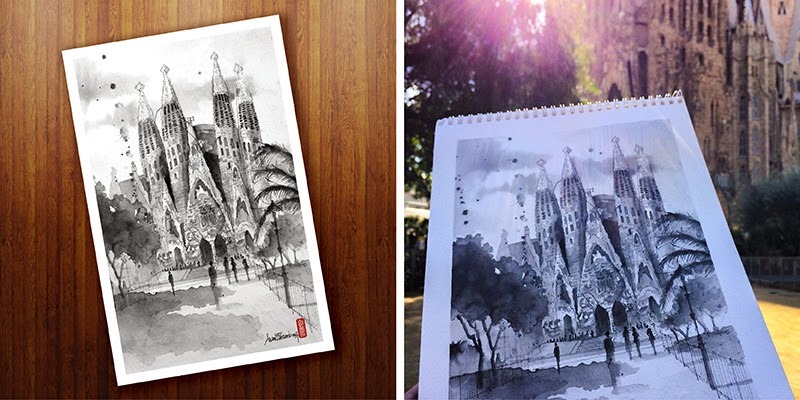 Your sketch of the Sagrada Familia is amazing. These are great! And such a great use of color. 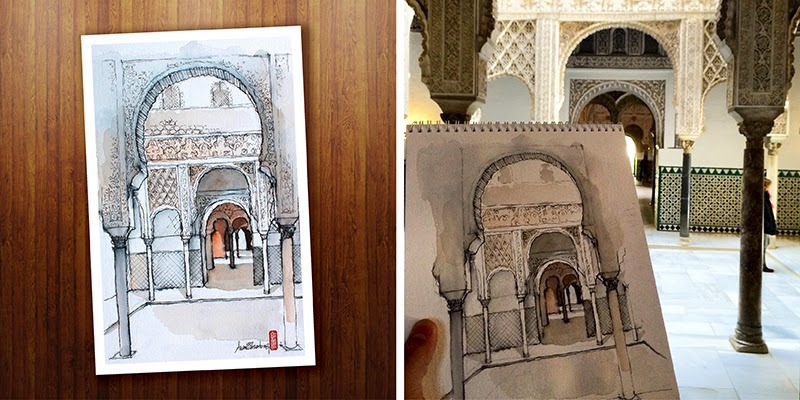 Your Seville sketches actually remind me of the Alhambra in Granada. Thanks Gail! It was hard to leave, but I'm also glad to be back home. I think I'll be able to make it to the Burke next week! 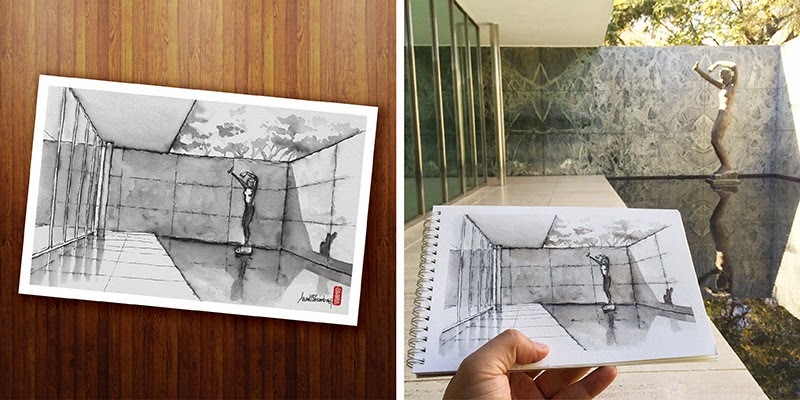 Alan, your sketches are beautiful! 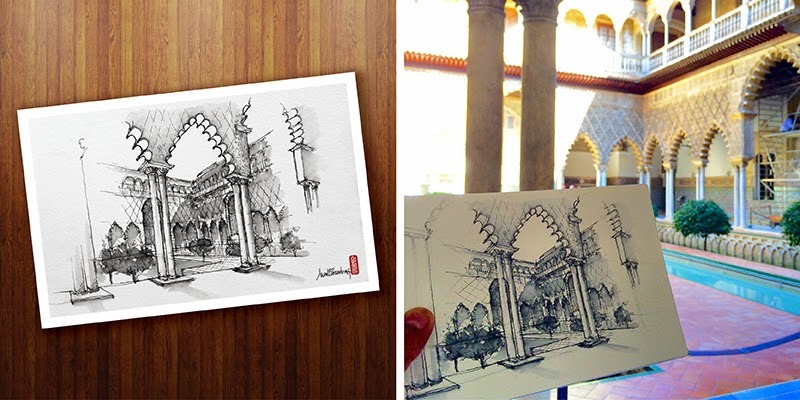 My boyfriend and I also just got back from a trip to Spain, including a visit to Royal Alcazar of Seville. 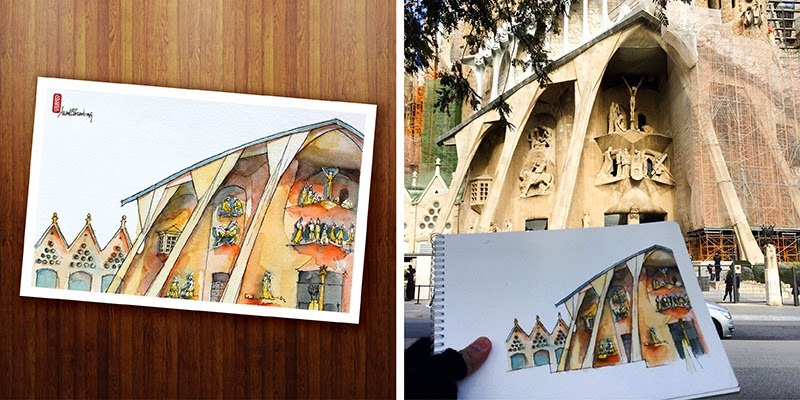 By any chance, do you have an online shop where you sell your sketches? I would love to purchase one, if available of course, please let me know. Thank you.